Rating: 4 1/2 out of 5 Wine Glasses! When an American teenager disappears abroad, Clara Roberts, a by-the-book investigator on a secret mission, joins forces with Light Walker, an ex-SEAL turned lawless mercenary, to save her. The sparks they generate—and the trouble they stir up—threaten to set the jungle ablaze. Nothing is what it seems in this fast-paced romantic thriller. As attraction grows into love, looming danger turns into all-out war, and the whole region explodes around them. Clara and Walker must hold on to each other and race against time to survive. 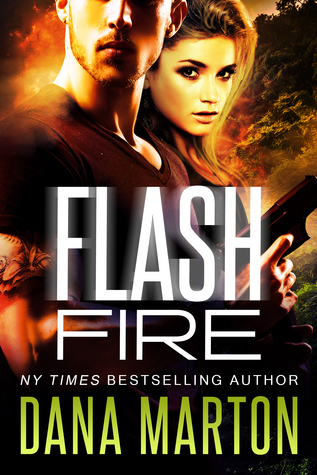 FLASH FIRE by Dana Marton is quite simply an awesome, action-riddled, romantic thriller. I originally fell in love with this author with her Broslin Creek romantic suspense series, so when I saw that she had a new book out, I knew I had to read it. ; I was not disappointed in the least! This book is an adrenaline rush from the get-go. FLASH FIRE is mostly set in Mexico with a capable, tortured, extremely hot, ex-navy seal turned mercenary hero, and a straight-laced DOD Civilian Personnel Recovery Unit investigator as our heroine. She is on an off-the-books mission to recover a citizen who has disappeared under strange circumstances and favors have been called in to enlist Walker to serve as her facilitator on her mission. Add in South America's seamy underworld of competing drug cartels, espionage, familial issues and titillating suspense for a story that literally grabbed my attention from the first sentence - when the hero wakes to a scorpion in his pants - and never lets go. Some of the story takes place in the Mexican jungles, and it was questionable whether the couple would be taken down by the creepy-crawlies or the banditos. This was the story of Light Walker and Clara Roberts, two strong, compelling personalities with clashing value systems. To say that they were complete opposites is an understatement. Even so, their chemistry was evident from the start and their attraction simmered for much of the book. I've knocked my rating down 1/2 Wine Glass only because I would have like to have seen a bit more romance. 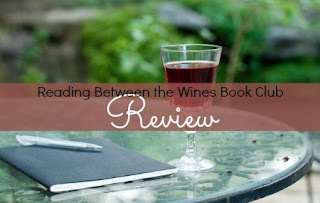 However, to be fair to the book and the characters, neither were looking to hook up and there were a plethora of deadly life or death distractions that required their attention riveted elsewhere. Walker is on a quest for revenge when he agrees to act as her facilitator. He did not expect the investigator to be a young woman who operates with spreadsheets analyzing and detailing her every move. They each undergo a transformation as the story progresses that will leave the reader rooting for them despite the immense odds against them. Something dropped on her shoulder, but even as she screamed, her heart stopping midbeat, the next oncoming branch swept the tarantula away. She manically brushed her shoulder with her free hand, every inch of her covered in goose bumps. "When running from people who're trying to kill you," Walker advised as he kept dragging her, "it's better to stay quiet. Generally speaking." He shook his head at her. "You say the nicest things." He held her gaze for a moment. "You're not trying to get into my pants, are you?" She turned her head as far as she could, trying to look at him. "I don't know what that means." He shifted on the branch. "First time I was on a submarine, we had a flash fire. It's a combustion explosion. A flammable mist builds up in the air, then suddenly, bam. Think super high temperatures and a rapidly moving flame front. It kills by asphyxiation. Burns up all the available oxygen. It's devastating." I had a multitude of favorite scenes. I'll just highlight a swoon-worthy one here between Walker and Clara to whet your appetite. “She sighed. "You're not without fault, but you're not rotten. Although you're very disorderly. You're pigheaded, cocky beyond bearing, arrogant." She stopped when she realized she'd just said the same thing three times over. "You have a troubling obsession with vigilante justice." She cleared her throat. "Well, I'm sure there are things you don't like about me." Dana most definitely has a way with words. FLASH FIRE is a thrilling and complex romance with well-orchestrated suspense and mind-boggling twists with a plethora of spine-tingling sequences. I would highly recommend it to anyone who enjoys fast-paced, high-stakes, romantic suspense laced with danger at each turn. I guarantee it will keep you on the edge of your seat.